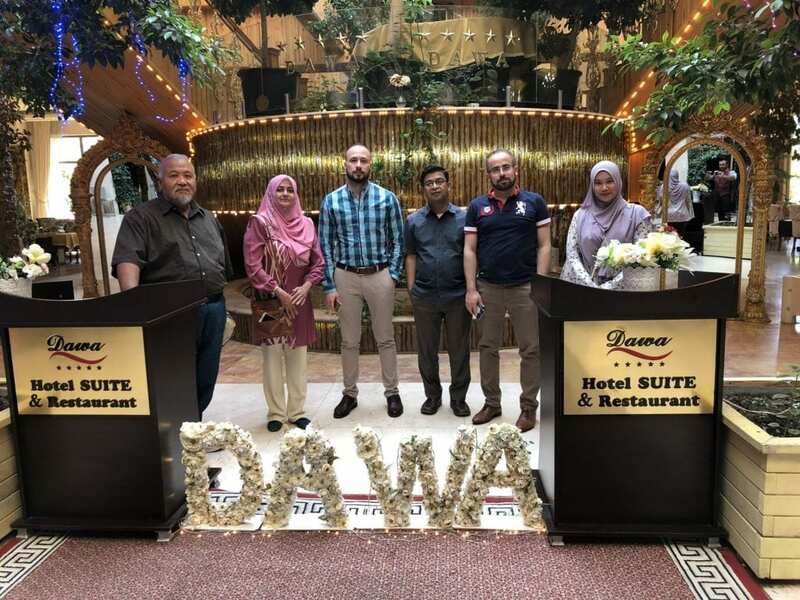 Two members of Language Academy, Universiti Teknologi Malaysia (UTM), Dr. Aminabibi bte Saidalvi and Madam Mawaddah bte Salleh, visited Qaiwan University (QU) in Sulaymaniyah, Kurdistan from 15 to 21 September 2018. Upon arrival, the two delegates were greeted by Prof. Dr. Habibollah bin Haron, President of QU (a senior lecturer on secondment from UTM), Dr. Ahmad, Dean of QU Faculty of Computer (former UTM PhD student) and Assoc. Prof. Dr. Norazman Bin Abdul Majid, Director of QU English Language Department. The main aim of this educational visit was to provide QU, the first UTM Franchise campus abroad, the expertise from Language Academy in assessing the English Language proficiency of 64 new students who enrolled for Session 2018/2019. 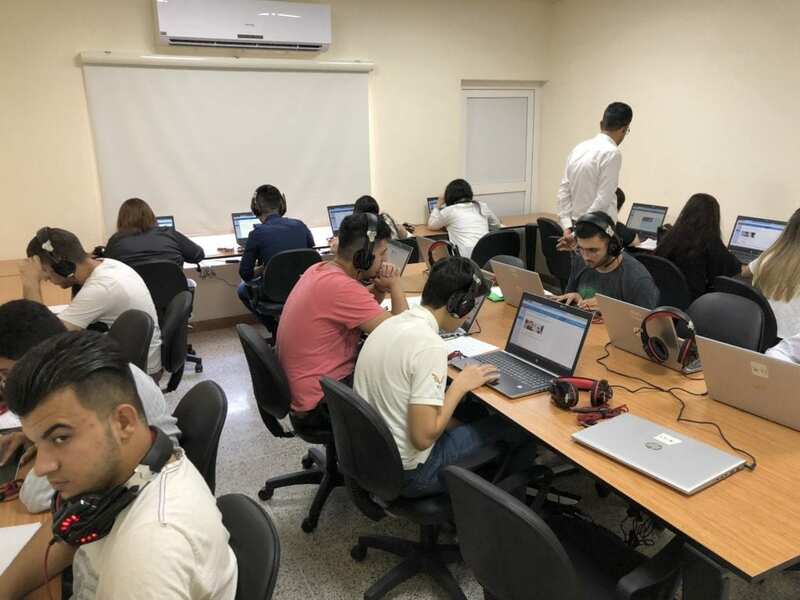 The assessments were conducted in two modes; Online Test and Oral Test. The online test was conducted fully in online mode to assess students’ reading, listening and grammar proficiency. The Oral Test, on the other hand allows the assessors to test the students’ oral communication skills in discussing issues related to academic life of students and was conducted in groups. The evaluation criteria of the two tests were aligned with the Common European Framework of Reference (CEFR) adopted by UTM. Students who obtained Level B2 or above will be able to join the faculty as soon as possible whereas those who achieved B2 and below will have to attend Intensive English Course (IEP) designed in three modular cycles. Besides assisting QU in screening the students’ English Language proficiency level, the two delegates from UTM facilitated the English Language Department of QU, headed by Assoc. Prof. Dr. Norazman Bin Abdul Majid , with the Training of Trainers (ToT) session. The training modules for all the three cycles of IEP course were introduced to the teachers. The training was aimed to familiarise the English language teachers of QU with the syllabus, textbook, teaching materials, in-class practices and formative assessments that can be conducted for interesting, meaningful and successful pedagogy. 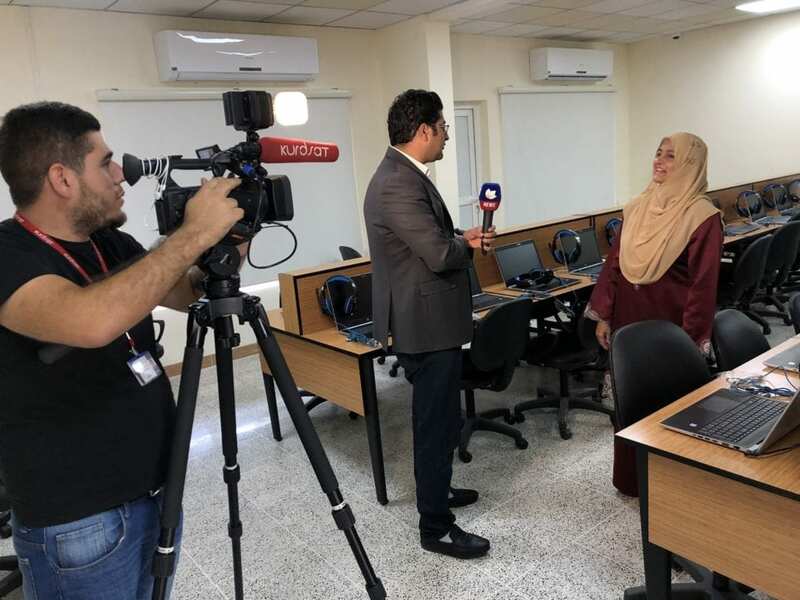 Our delegates were also interviewed by the Kurds TV station on the last day of the assessments. Dr Aminabibi highlighted the goal of the visit to QU and the importance of Transnational Education Programme (TNE) in enhancing the education system of Kurdistan while broadening the education scope of UTM. On the last day of their seven-day visit to QU, the delegates were lucky to visit the city of Sulaymaniyah. They visited the metropolitan area of Sulaymaniyah town, an astonishing city of over a million people and the most westernised city of Iraq. Then, they visited Amna Suraka, Red Security Museum Sulaymaniyah Museum, a must visit place where the horrific and tortures moments of the Iraqis and Kurds were portrayed. Finally, they were brought to view the impressive Sulaymaniyah Skyline from the Azmar Mountain before doing some shopping at the Sulaymaniyah town bazaar. It is hoped that the collaboration between LA and QU will help to make the transnational education program initiated by the Deputy Vice Chancellor Academic and International, Prof. Ir. Dr. Zainuddin bin Abdul Manan, a huge success not only for LA but also for UTM.